ITV looks set to respond to the BBC's imminent expansion of CBBC's hours by extending the evening broadcast hours of its children's channel. The BBC has already announced its intention to extend CBBC to 9pm once BBC Three's promo service ends. 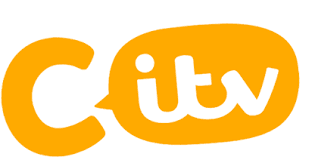 New programme data from ITV confirms that from Monday, CITV is due to extend its hours to 9pm, pre-empting the BBC's move. In the first major change to CITV's broadcast hours since it launched as a standalone channel ten years ago, the channel is set to run for 15 hours a day, from 6am to 9pm. Extra programmes scheduled for the evening include back-to-back episodes of CITV staple Horrid Henry. According to ITV, the extra hours will be broadcast on satellite, cable and online platform ITV Hub only, where CITV's downtime isn't used for anything else. On Freeview, CITV currently timeshares its bandwidth with ITV3+1, meaning there would have to be changes to accommodate the extra hours. There's no indication that there will be any changes on Freeview just yet. Despite the BBC and ITV being long established players in children's TV, CBBC and CITV will be newcomers in the evening children's TV market. From POP to Nickelodeon, there are already numerous operators vying for young audiences.